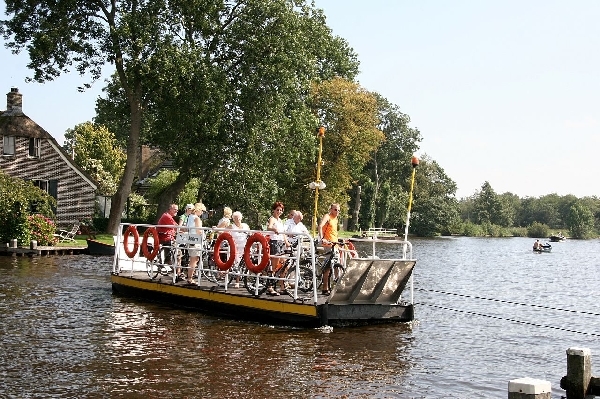 The Jonen ferry connects your cycling trip from Giethoorn to Blokzijl and vice versa. You will be on the other side of the Walengracht in a few minutes, able to continue you cycling trip through Weerribben-Wieden. In the summer there is a skipper to take you to the other side. Tip: take some change with you. A ticket costs € 1.20. During winter, the ferry is operated manually by the passengers. 1 April through to 1 May: from 10:00 to 17:30.